Welcome to the Fantasy SUP Preview, where you'll find some helpful hints before the kick off of Paris Sup Open in France. Here you find all the athletes will be on the start line. There are 27 male paddlers and 10 female paddlers. 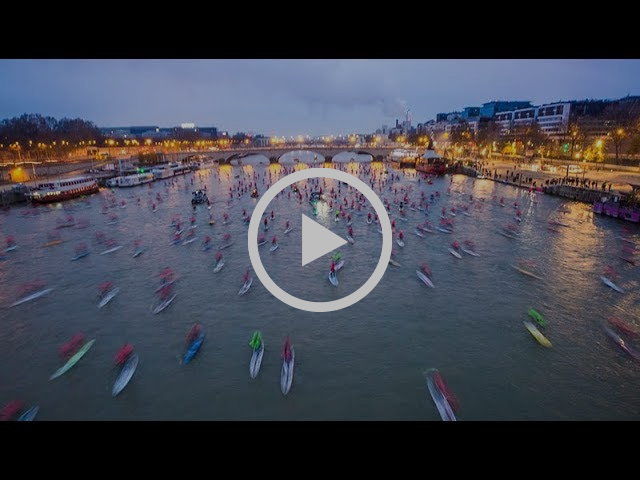 In addition to the race down the River Seine, there is the transformed Sprint Racing component of the Paris SUP Open that will take place in the Salon Nautique (Paris Boat Show) itself on Saturday afternoon (8th December) from 2 pm CET. For the first time ever, the best in the world will take part in a unique man on man elimination format that promises to deliver some of the most exciting and groundbreaking racing of the year. You still have less than three days to set your Fantasy Sup line up. Below you'll find some numbers can be useful to draft up your riders. France’s Arthur Arutkin and Spain's Susak Molinero won the 2017 world’s largest SUP race. Arthur won a photo finish with 2016 defending champ Bruno Hasulyo, while the Viking Casper Steinfath was just seconds behind. Susakwas a clear winner in the women’s. They all will be on the start line of 2018 Paris Sup Open, you cannot forget to add them to your Fantasy Sup line up. 2017 Paris Sup Crossing winner Arthur Arutkin from France is also actually on the top of APP World Tour Ranking with 45,750 points. However, it is far from over for this year, as the powerhouse Michael Booth (39,250 points) is well within reach, and a strong finish in France could propel the Australian to the top of the World. Likewise, a great 2nd half of the season by Connor Baxter (37,750 points) has proven that he is very much still in the mix and certainly looking to defend his 2017 World Title this year in Paris. Behind these 3 Contenders is a whole host of talent that could easily upset any of these 3 Champions dreams of a World Title: from the Great Dane, Casper Steinfath, the ever-dangerous Hawaiian Mo Freitas, the Hungarian power duo Bruno and Daniel Hasulyo, to legends, Danny Ching and Travis Grant, who have shown time and time again, that they are still very much the guys to beat. It is going to be a battle to the end, and we can’t wait to see how it all unfolds this weekend in Paris for the final stop of the 2018 APP World Tour. They are for sure the best athletes to set in your Team. Teammates and great friends, Shae Foudy and Candice Appleby will battle it out for the 2018 APP World Title. With just 1,000 points separating them in the overall rankings, with Shae just ahead of Candice, it will come down to these final two races in Paris, the sprints in the pool and the long distance on the River Seine to determine the 2018 APP World Racing Champion. While the Title has become somewhat of a 2 horse race, 2017 World Champion Terrene Black has been on a tear since New York and will be looking to finish the year on a high in Paris for Racing and then Gran Canaria for Surfing. Also to watch out for in Paris will be the ever impressive Yuka Sato, who kicked off the year with a win in the iconic Race to the Houses of Parliament in London and is also looking to wrap the year on a high in Paris. Meanwhile, the local talent will, without doubt, make their presence felt, with the likes of Olivia Piana and Amandine Chazot on the start line and ready take on the best of the best. For all the athletes' list visit Fantasy Sup My Team Page.